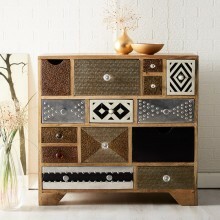 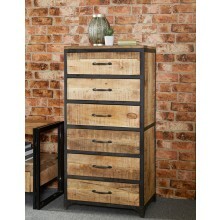 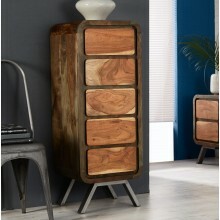 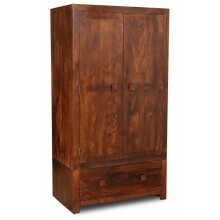 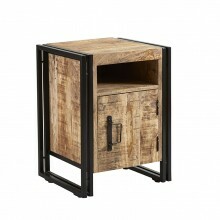 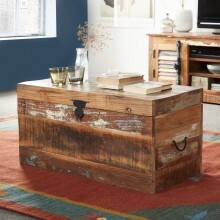 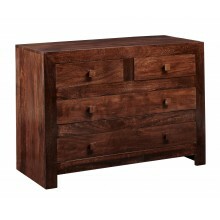 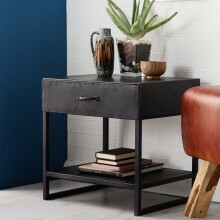 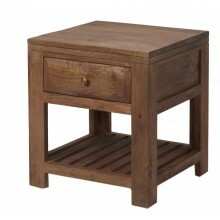 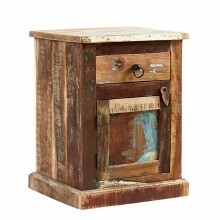 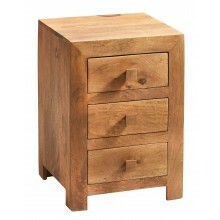 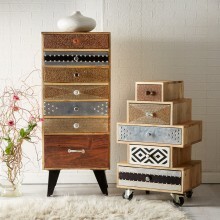 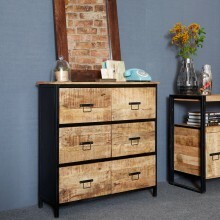 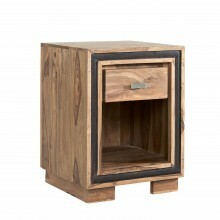 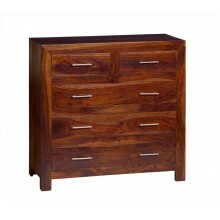 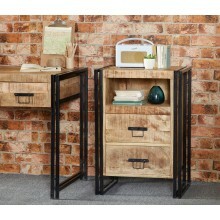 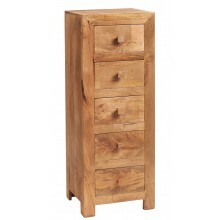 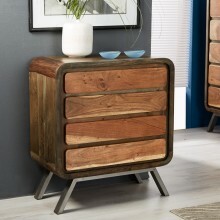 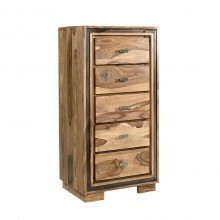 Tall Chest with 5 Drawers, featuring CNC cuts on the front of each drawer, matching wooden handles and angled metal legs. 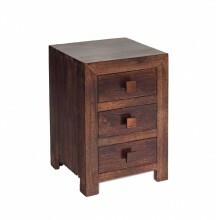 The unit will come fully assembled, only the legs must be attached. 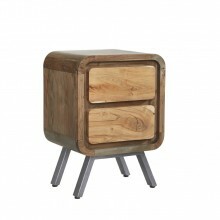 This beautiful, unique range complemented with Scandinavian inspired legs is the perfect choice for a modern retro interior, in combination with other items in the same collection. 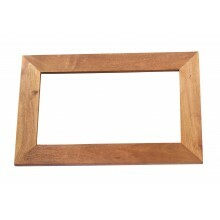 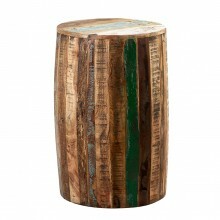 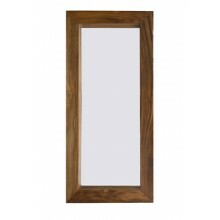 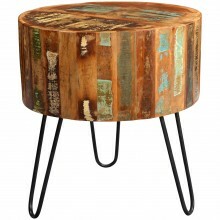 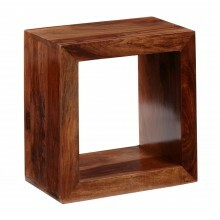 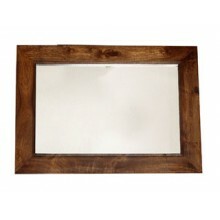 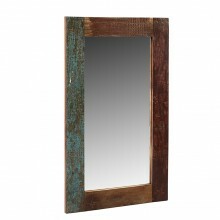 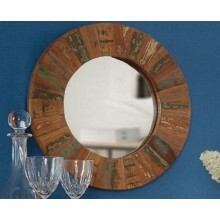 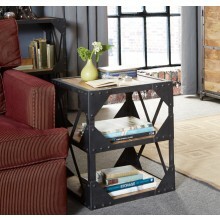 It will add warmth to your home with its two-tone colour and metal gold legs.